I don’t know if this is cute or depressing. I took this last year on New Year’s eve. The snow had already gone away. 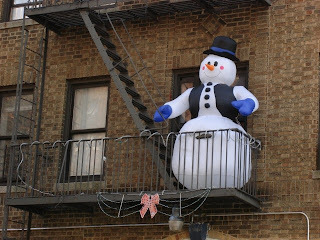 Poor snowman. Was he waiting for more snow to come his way? Or was he thinking about jumping?